Aviemore is a traditional farm style house which sleeps 10 people. The farm house has an enchanted garden leading directly onto a deck overlooking the dam. Paddle boards and a boat are available for guests. "The hosts are fantastic with a great attention to detail and make every effort to attend to your needs." The farm cottage is a tranquil and cosy English style house which can sleep 4 people. 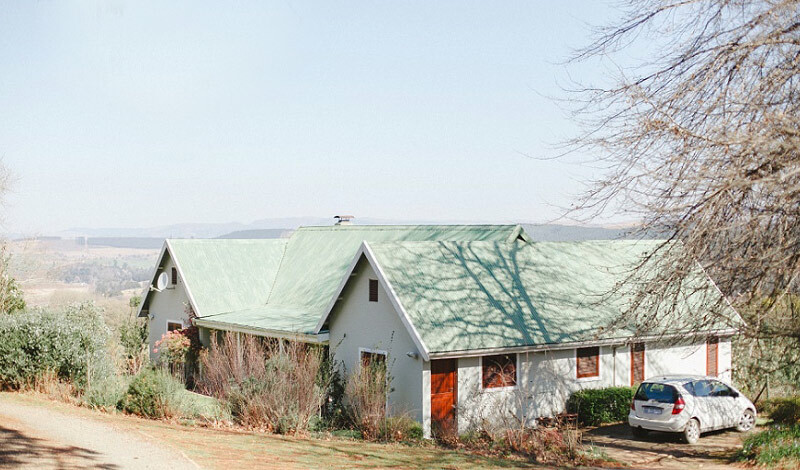 The cottage has a spacious wooden balcony with spetaccular view of the dam and Midlands valleys. "A truly magical spot! I have been to a few weddings here and everything about The Glades is magnificent." These are all self-catering and have a minimum 2 night booking policy. We require 50% deposit to confirm a booking.